Re: The dirt bike thread! Vstrom exploded...sold it...now back on this to get my fix...Saddleback anyone? Tj raced 450 "B" class at Mammoth last week with all his homies they went mountain biking fishing and a buncha stuff he holeshotted all four motos but faded and let the serious kids race, Hes a business man now so kept it safe did whips and diced with his buddies instead. All down hill with hits and banked wood track, Tjs videos are gnarly I wanna go! Boy tested the 2019 KTM yesterday plenty of power and superb suspension for a stock motocross bike but the ergonomics of the Katooms are way different than the "Big three", He has a test coming up on the new Yamaha their rumored to be badasss this year! 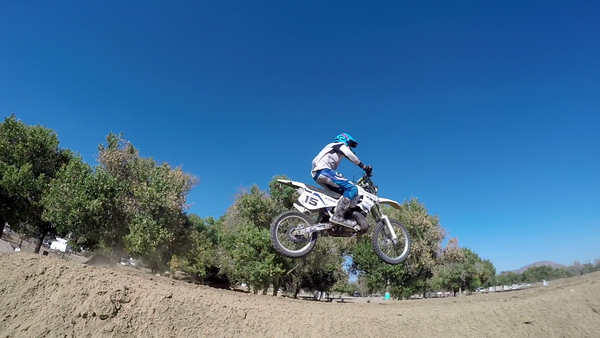 Spy tested the the 2019 Husky today at Perris raceway. cool bikes. I'm too chicken to try those dirt things. people get hurt on them! Tj got invited to hang at the DEUS crews compound in Bali for two weeks riding vintage and modern bikes on Enduro moto and supercross tracks, He awoke this morning to a 6.4 earthquake.... Livin the dream! Apart from the earthquake, that’s fricken sweet! Hope all is well after the shaker. and @ ootv - yes, pismo. IDK if I'll ever get a dedicated dirt bike but the CRF250L Rally looks mighty inviting. Being a big dude might end up being a CRF450L. Maybe 2019 fire road goals, not sure. Is it soft enough for us noob guys? Pala has tracks for all level of riders the vet track is a blast!!! Building a 02 YZ250f for some MX track time. Page created in 0.319 seconds with 69 queries.